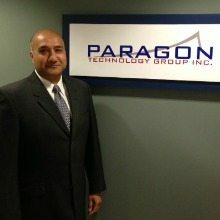 Kiran Rathod has been named Chief Technology Officer of Paragon Technology Group, a leading provider of strategic technology solutions for the public sector. Rathod, who brings more than 22 years of extensive professional experience in information technology, will be responsible for the development and implementation of data management, data analytics, and emerging technologies at Paragon. Prior to Paragon, Rathod spent 10 years at Lockheed Martin in several senior leadership positions focused on driving innovative IT solutions to federal customers. Rathod began his career in wireless telecommunications and held several senior technical and leadership positions with companies and agencies like NASA Goddard Space Flight Center, Motorola, and AT&T Wireless. Read Scott Friedlander’s 2013 Market Outlook Valuation, New Players & Technology Adaptation.